Nothing is as it used to be for the Black Dagger Brotherhood. After avoiding war with the Shadows, alliances have shifted and lines have been drawn. The slayers of the Lessening Society are stronger than ever, preying on human weakness to acquire more money, more weapons, more power. But as the Brotherhood readies for an all-out attack on them, one of their own fights a battle within himself . . .
For Rhage, the Brother with the biggest appetites, but also the biggest heart, life was supposed to be perfect - or at the very least, perfectly enjoyable. Mary, his beloved shellan, is by his side and his King and his brothers are thriving. 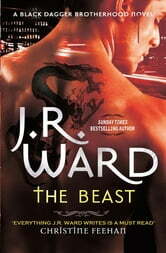 But Rhage can't understand - or control - the panic and insecurity that plague him . . .
And that terrifies him - as well as distances him from his mate. After suffering mortal injury in battle, Rhage must reassess his priorities - and the answer, when it comes to him, rocks his world . . . and Mary's. But Mary is on a journey of her own, one that will either bring them closer together or cause a split that neither will recover from . . . I loved reading more about Rhage and Mary, seeing how their relationship has grown and changed. I loved every second of it! Fantastic read. 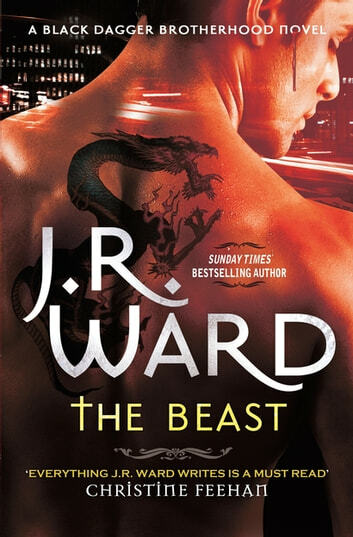 I'm never disappointed with a book by this author, she totally captivates me with every instalment of the Black dagger brotherhood books, I'm already inpatient for the next instalment of the brothers story. Truly one of the best books from the series. Tried to put it down, but couldn't. Loved the pace of the book.